aircraft both free flight and radio assisted. New items: New events on calendar. 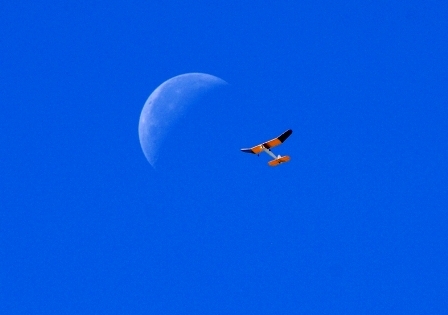 Jim Temple's completely unaltered photo of Dave Lewis's Lanzo Bomber passing the moon. Dave will do anything to find lift!